When Kealaula, or Ala, and her little sister Virgilia are sent to Hawaiʻi Island to learn the secret strand of their mother's story, and by extension their own, Ala learns much more than the origin of her own name. "Part bear and part trout," as her father calls her, Vermont-born Kealaula forms indestructible bonds with her cousin Nalu and Melody and George Nunes, whose friendship teaches Ala how a person can be two things at once without being less of either. She has always known that Ke Ala Ula was "the red way," or the path that the sun blazes on the ocean when it sets, but in Waimea she learns that it denotes that same blazing pathway...when the sun is rising over the water. 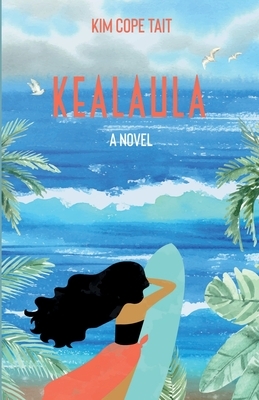 Full of endings and beginnings, Kealaula is a coming-of-age story about growing up, opening up, and letting go.